Here you can buy something that can not be bought from us. For example, my wife finds culinary devices and tools that are not in our country. You can buy a quality product and cheaper than in our country, for example a laptop or a detail for an American car. For example, I have a friend to buy Chrysler 1992 year. Our parts are expensive for him, because it's not a new model, but in the USA the prices are bearable and the quality is quite different. Registration is completely free (including for Russian-speaking users). 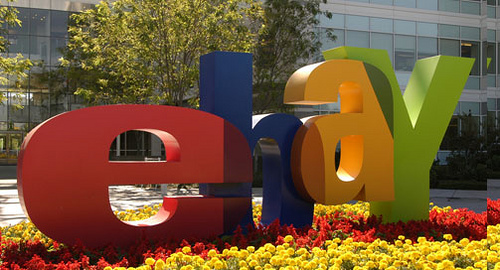 And simply eBay is the world's largest flea market with a attendance of several million people a day. global.ebay.com - EBay International Trade Center for the Russian Federation. The best site about the eBay Auction in Russian. Anyone wishing to sell passes the registration procedure and becomes the Seller. Users who just buy are more easily registered. The seller can put up an unlimited number of lots for auction, each lot usually contains one unit of the goods, less often - several identical things that fit under one description. Lot looks like a separate web page, has its own number (item #) and consists of the name of the lot, the description of the sold item and its image. This web page is fully formed by the Seller. The name of the lot contains a short description (not more than 145 characters) of the item, a more complete description (it is allowed to use the HTML language) is below and completes the image page of the sold item. The auction allows the Seller to download only one image, which is quite enough. The lot can be put up for 3,5,7 and 10 days. All this time, buyers around the clock have access to the lot and can make their bids (bids). The auction has a very powerful search engine (search), which allows buyers to find one or another product by the name of the lot (using the same search words as words in the lot names). Also, all lots are broken down into categories and subcategories (for example, the camera "Smena" you will find in the category Photo, Electronics -> Photo accessories -> Cameras -> 35mm), which is also convenient, since buyers do not always know in advance what kind of goods they need. Getting into the right category they choose from the similar goods the best for themselves. At the end of the lot, the auction sends email to the seller and indicated the highest bidder to the buyer with a notice of the end of the auction for each lot. Each auction user has his own status page (My eBay), where he can also see all information about made bets and/or open and closed lots. The auction user can be a seller of some lots and a buyer of others simultaneously. Further, after the auction is over, the Seller contacts the buyer of each lot by means of an email (you will find a sample here), informing the details of the transaction, namely, to whom and how the buyer should pay for the lot. It is usually suggested to pay by credit card, personal bank check or money order. As a rule, the seller sends goods by mail only after receiving payment. The site engine raises rates on the set naga, depending on the value of the lot. For example: the step is $1, someone put $10 for the lot, you put 20 - in this case, the price of the lot will be 11 dollars. If, after a while, another bidder bets $15, you will still be in the lead, and the price of the lot will increase to $16. If someone gives $30, then the value of the lot is $21, and the one who gave $30 will already lead. To you the auction will send an email that someone has interrupted your bid. Some lots have the option Buy It Now - this means that the lot will be closed ahead of time if any of the buyers agrees to pay for the lot amount specified in this option. In the description of each lot is the date and time of the end of the auction. We recommend that you bet for 5-10 minutes before closing the lot, in order not to attract too much attention to the lot and do not create unnecessary agiotage. Sometimes around the current price for a lot is the mark reserve not yet met - this means that the price of the lot has not reached the amount for which the seller is ready to sell the exhibited goods. At the end of the auction for each lot that you won eBay (tm) sends you an email with the lot number (item number), the seller's login (User ID), email address of the seller And the price for which the product was sold. Typically, the seller also sends you an email with the price of the lot, the price for the shipment (usually the price for shipping in America) and a list of payment methods. At the auction there is a rating system. After a successfully completed transaction, the seller and the buyer leave positive feedback (each other). Accordingly, if the transaction is not successful - it will immediately be reflected in the rating. The number of positive (or negative) responses is indicated in parentheses next to the user name. Usually, before making a bet, the buyer carefully looks at the seller's rating. Those sellers who have more than 98% of positive feedback are awarded the title of "Honorary Vendor." And of course, study and do everything yourself without intermediaries. For example, we have an intermediary westernbid, which takes care of everything for a small percentage. But they have already thrown so many. In most cases, it's just sluggishness. Auction - this is the place where you constantly make a decision to raise or give the goods. The mediator does not care, not his money. Successful purchases were broken because of sluggishness. The world's largest auction on Internet. The auction has a huge attendance. Here you can buy anything or sell, including domain names. And simply eBay - is the world's largest giant flea market with a attendance of several million Person per day. global.ebay.com - The eBay International Trade Center for the Russian Federation. The best site about eBay auction in Russian. On eBay itself you will not know much. And if you are a new person, and even from Russia? In short, first here, and only then on eBay.